For land to be productive and agriculturally sustainable in the longer term, maintaining and supporting its natural biodiversity is important. World Food Day on 16 October reminds us that 821 million people in the world are undernourished and that sustainable agriculture requires mainstreaming of biodiversity. Farmers across the world are facing difficult times. Unpredictable weather patterns make it difficult to know exactly when to plant and when to harvest crops. Big commercial farmers are also coming under fire for “monoculture” – the cultivation of a single crop over vast areas, often using harmful pesticides, which can drastically reduce the variety of plants, insects and animals across a landscape. For land to be productive and agriculturally sustainable in the longer term, maintaining and supporting its natural biodiversity is important. UN Environment and partners are working to promote the latest science and best practices in sustainable agriculture, in line with the 2030 Sustainable Development Agenda. “It’s vital that we extend our knowledge of how plants, insects and animals interact so that agriculture can produce enough food for everyone in a sustainable way. Protecting our biodiversity is an important part of the equation,” says UN Environment biodiversity expert Marieta Sakalian. For too long, biodiversity on agricultural land has been undervalued or neglected. The diversity of crops and livestock, including their wild relatives, sustain production systems, provide nutrition and enable adaptation to climate change. For example, without a diverse range of pollinators – a vast array of insects and animals – crop production would decline quickly. UN Environment has been working with the Global Environment Facility (GEF) and other partners for 17 years on projects designed to support and mainstream agricultural biodiversity in agriculture production sectors. One project arising from this collaboration, The Conservation and Sustainable Use of Cultivated and Wild Tropical Fruit Diversity project, documented the diversity of four globally important fruits and their wild relatives, and associated knowledge. The book published through the project, Tropical Fruit Tree Diversity: Good practices for in situ and on-farm conservation, reviews the status, potential threats and new opportunities in the conservation of tropical fruit diversity. It was written for both researchers and farmers to help them identify and fill knowledge gaps in tropical fruit tree research. A UN Environment publication summarizing this and other projects and tools – titled Mainstreaming Biodiversity in Production Landscapes – is to be launched at the next meeting of the Convention on Biological Diversity in Egypt in November 2018. “Production landscapes” are areas where humans grow crops, breed livestock, or manage forests, but where biodiversity has been undervalued or neglected for too long. The publication focuses on different components of agricultural biodiversity: crops and their wild relatives, domestic animals, wild plants, pollinators and soil biodiversity. All the projects highlighted in this publication sought to integrate biodiversity conservation into practices, strategies and policies in partner counties. 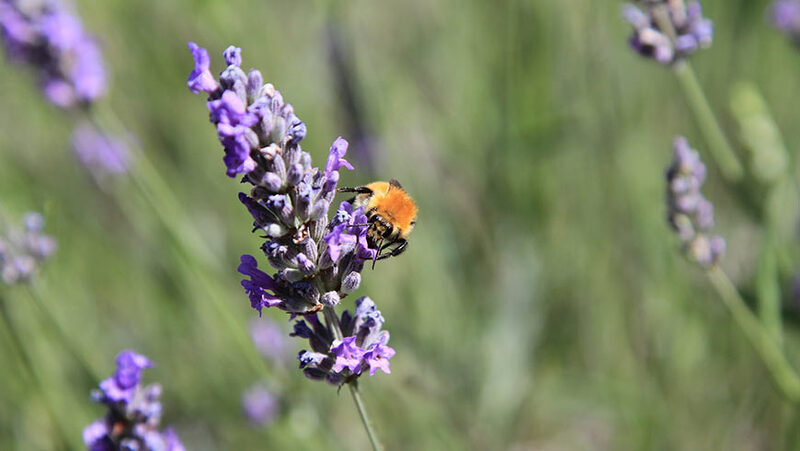 For instance, The Conservation and Management of Pollinators for Sustainable Agriculture through an Ecosystem Approach project created a global knowledge base that integrates traditional and scientific knowledge on pollinators and pollination services. A Pollination Information Management System was developed to organize and deliver information on managing pollination services of key crops to farmers, farm advisers and land managers. The Crop Wild Relatives project, on the other hand, created a global portal that provides access to national inventories and information on crop wild relatives at the global level. The portal includes results of the assessments of the distribution, conservation status and values of crop wild relatives. The assessments cover 36 priority genera. The importance of ensuring the conservation and sustainable use of biodiversity in production systems has been recognized as a part of the Convention on Biological Diversity’s Strategic Plan and the Aichi Biodiversity Targets, especially Target 7 (sustainable management of production systems) and Target 13 (maintenance of genetic diversity of crops, animals and other socio-economically important species). Lastly, the Central Asia Fruit Tree Diversity project established 73 demonstration plots/matrix orchards and 59 nurseries for multiplication of local varieties of target fruit crops and promising forms of wild fruit species. Twelve of these demonstration plots have been established in forest sites to conserve in situ wild relatives of target species. These sites contain 436 local varieties of fruit crops and 117 promising forms of wild nut-bearing and fruit species. Over the last few years the nurseries have produced 1.5 million saplings of local fruit tree varieties to ensure their availability to farmers and others throughout Central Asia.